The famous Yowza Cardio Core Movement system, adjustable stride and inclines up to 50%. Priced a little lower than the Islamorada - it still has most features and could be a great buy! If the name of the company doesn’t a ring bell, don’t worry. 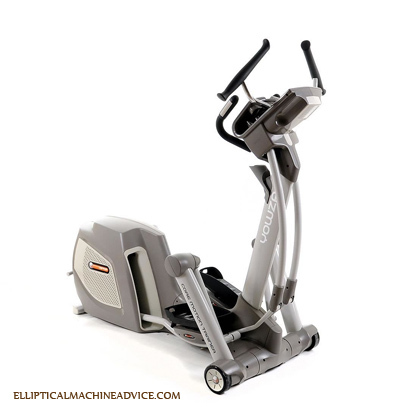 They are fairly new on the elliptical trainer market, but they have attracted attention by introducing some innovations into their models that we haven’t seen before on similar machines made by other manufacturers, such as Cardio Core Rotational Movement which represents a fresh take on your standard handlebar design. The handlebars have a rotating motion that twists your upper body - working arms, torso and abs. Yowza machines are instantly recognizable - but you can tell that this model is one of their top end machines. I have a review of the slightly more advanced Islamorada - but this one comes in a little cheaper for those on a tighter budget. It still offers some great advanced features whilst saving a few dollars! Many features from the Islamorada are included in this trainer. For example, the Yowza Captiva features their most advanced console. Apart from letting you control and adjust every aspect of the workout, it also has a three-speed cooling fan to provide the much needed breeze during intensive workouts - controlled very easily by operating the console. But, the creature comforts do not end there. This model also comes with an iPod docking station, so you can plug in your iPod and blast your favorite tunes to keep you motivated while you work out, and keep it powered at the same time. The sound will be played back via integrated premium stereo speakers - actually a great sound system for an elliptical. As far as the actual workout features go, the Captiva Elliptical has a total of 12 pre-programmed exercise regimens for you to choose from. This lets you change up your exercise routine once in a while and provides good versatility that keeps you from plateauing. They range from beginner to very advanced in terms of difficulty. Choose your poison! This machine lets you store up to nine different user profiles - useful for busy households. You won’t have to enter the workout parameters each time you step onto the trainer. You simply load your saved profile and that is it. In addition to this, you can also try out the aforementioned cardio core workout based around the rotational handlebars movement. Additionally, you can choose between 8 different levels of intensity, ranging from easy to very intensive and difficult. This trainer is very efficient if you are into exercises that target specific areas to remove fat, with those areas usually being your core and your belly. No matter what kind of exercise you prefer, you will be able to find a program that will fit your needs. This model allows you to change the length of the stride and to vary the motion of the machine. The stride can be set anywhere from 18 to 32 inches, by choosing the values on the central console. You can also adjust the incline up to 50% - pretty tough! Yowza patented SureFit foot pedals - provide comfort like no others! You can target the muscles in your upper body, such as biceps or triceps by using the Yowza’s very own patented handlebars which are diagonally aligned, as opposed to being aligned vertically like most other elliptical trainers. This allows you to get a more effective, intensive workout which will engage every muscle in your upper body. 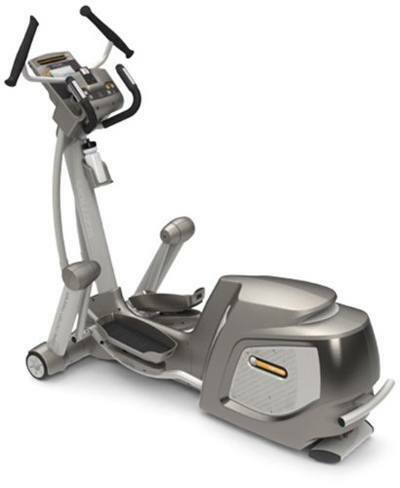 The rotating motion is a great change for regular elliptical machine users - something new at last! And it makes for a great and challenging workout. As is usually the case, our review of the Yowza Captiva looks at online user reviews of the people who bought the trainer. Analyzing their feedback, we were able to figure out how the trainer fared among the customers. The machine itself received glowing reviews and universal praise - as expected for a Yowza product! Buyers really loved the fact that it came crammed full of useful and innovative features, such a Yowza’s patented moving handlebars, which allowed them to work out their upper body like they’ve never been able to do before. As for the lower body, they loved the flexibility, because they could adjust the stride length of the trainer, anywhere between 18 and 32 inches. It definitely has the edge over your run-of-the-mill home elliptical trainers. Many customers have pointed out that the Yowza Captiva provided them with the kind of workout they would usually get at the gym, using their professional elliptical trainers. On the downside, the machine isn't cheap and comes with a significant price tag. It does offer a lot in terms of quality and features - if you can afford to shop in this range. Compared to the competition, you do get great value for money. 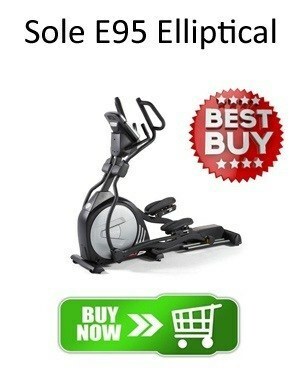 The Yowza Captiva Elliptical is a quality machine that would suit the majority of users - from beginners to advanced. Everything on this piece of exercise equipment is top notch. 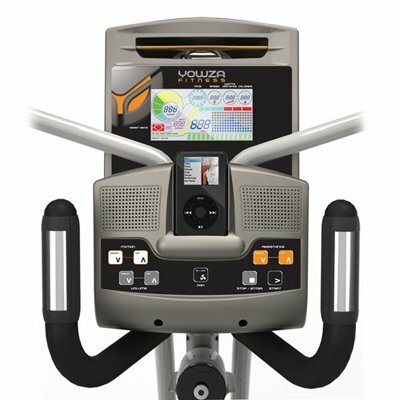 Adjustable stride length, innovative handlebars, a multitude of available workout regimens and an advanced central console are everything you are looking for in a home elliptical trainer. 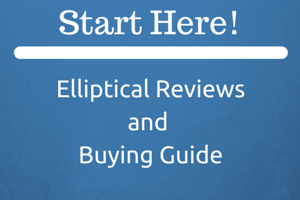 Yowza produce unique high end ellipticals, they cost a bit - but for many they are still value for money. To get the range of specs on this model elsewhere, you will pay much more. I personally Love Yowza technology - you will too! This is my 2nd place choice from Yowza Fitness. For me the Islamorada offers a little more, although it costs a little more. If your budget can stretch - I think you'll be glad you stepped up. However, the Captiva is still great value and compares very well with other makes in this price range. Check out all the Yowza Reviews here to see their main range.